*The Early Mirage story “Ready Set Go!” was originally published in Hero Comics 2012 #1. *There are 3 alternate versions of this issue released across different comic conventions in 2014, each containing different bonus content. 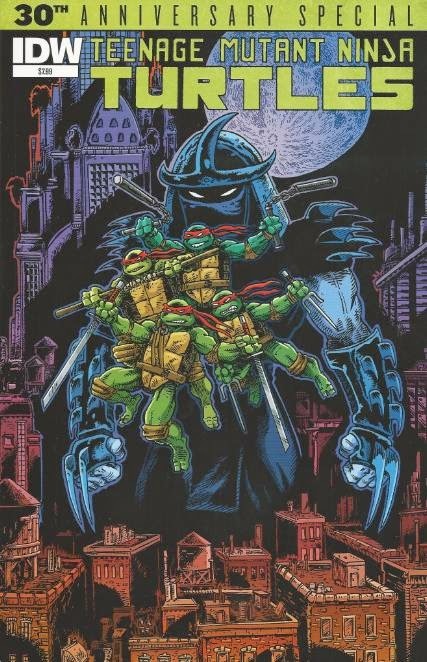 For a rundown on the differences, see: TMNT 30th Anniversary Special (Convention Exclusive Editions). **Cover RE Heroes Haven Comics Exclusive by Ozzy Fernandez and Tony Kordos. The speech bubbles in "Ready Set Go!" were slightly modified in quite a few places compared to the original Hero Comics version.